Earlier this week Microsoft announced that they would be bringing their Microsoft Edge browser to Apple’s iOS and Google’s Android OS. Now the Microsoft Edge app is available for Android, the app is now available to download from the Google Play Store. 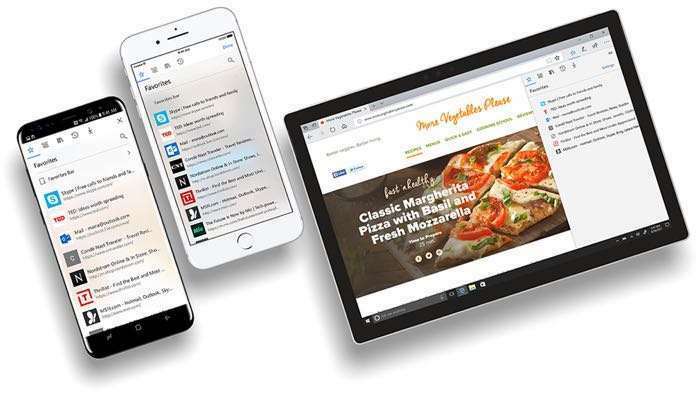 Microsoft Edge, now available on iOS and Android as a Preview, gives you one continuous browsing experience from your mobile device to your Windows 10 PC. Your stuff syncs in the background, allowing you to browse across devices, without skipping a beat. From PC to mobile, you can browse seamlessly across your devices, while your information syncs in the background. Go anywhere and pick up where you left off by easily moving content between your mobile device and your Windows 10 PC*. Your passwords and favorites are synced across your devices so your browser is always personalized to you. You can find out more details about the new Microsoft Edge app over at Microsoft at the link below. The app is now available as a preview.